The BBC (British Broadcasting Corporation), has come under fire over claims that it held "consultations" with a senior member of the Palestine Solidarity Campaign (PSC) - an anti-Israel group which openly supports Hamas, Hezbullah and other extremist organisations. 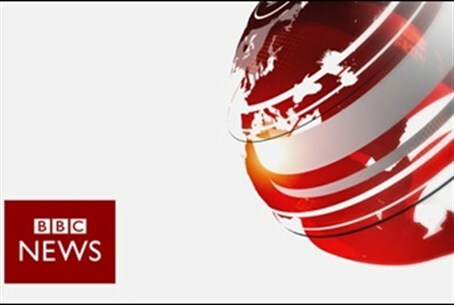 In an email which, ironically enough, addressed what she saw as "pro-Israel bias" at the BBC, prominent anti-Israel activist Jenny Tonge claimed that the PSC's Chairman, Hugh Lanning, met with "senior BBC executives, including the previous Head of News and Current Affairs" to push for coverage of the Arab-Israeli conflict that was more in line with the PSC's own idea of "better and fairer coverage." According to BBC Watch, Lanning is an open supporter of Hamas, which the UK government designates as a terrorist group. As revealed in an Arutz Sheva exclusive in November last year, anti-extremist groups have accused the PSC of supporting a wide range of extremist, anti-Semitic and homophobic groups and individuals. Indeed, the BBC itself has previously labelled the group as "radical" for granting a platform to extremist Islamists. On its blog, BBC Watch published pictures showing Lanning posing with known Hamas supporters and Muslim Brotherhood affiliates in the UK, as well as meeting with senior Hamas officials in Gaza. The BBC is the UK's largest news channel, and as a publicly-owned company gains much of its revenue from British taxpayers' money. Such revelations will likely strengthen accusations by media watchdogs and pro-Israel groups that the BBC is public funds to promote an anti-Israel agenda in its coverage of the Middle East. As noted by BBC Watch, the revelations are made worse by the fact that senior pro-Israel activists are not granted similar access to the upper echelons of the BBC. "What is the BBC doing by speaking with the PSC, whose senior officials regularly consort and declare support for terror groups such as Hamas and Hezbollah, on the question of its Israel coverage? Would the BBC also hold private discussions with the British National Party, a leading Neo-Nazi group, on the question of immigration?" The Balen Report was commissioned in 2003/2004 to look into allegations of bias over the BBC's coverage of the Arab-Israeli conflict. The findings of the report were never made public, although the corporation's bosses insist that its recommendations were applied.